WASHINGTON -- The cap on civil penalties that can be levied by U.S. auto safety regulators would be tripled to $105 million under a five-year highway bill that passed the House today and appears likely to become law. The bill would also increase the National Highway Traffic Safety Administration’s defect investigations budget to around $30 million per year from around $10 million currently, but only after implementing a series of reforms recommended by the Transportation Department’s inspector general in its scathing report on NHTSA released this summer. NHTSA has promised to make the reforms by next June. In a show of Congressional bipartisanship, the House of Representatives voted 359 to 65 today to send the $305 billion legislative package to the Senate. It is widely expected to be approved and forwarded to the White House for President Barack Obama's signature before a temporary funding measure expires on Friday. 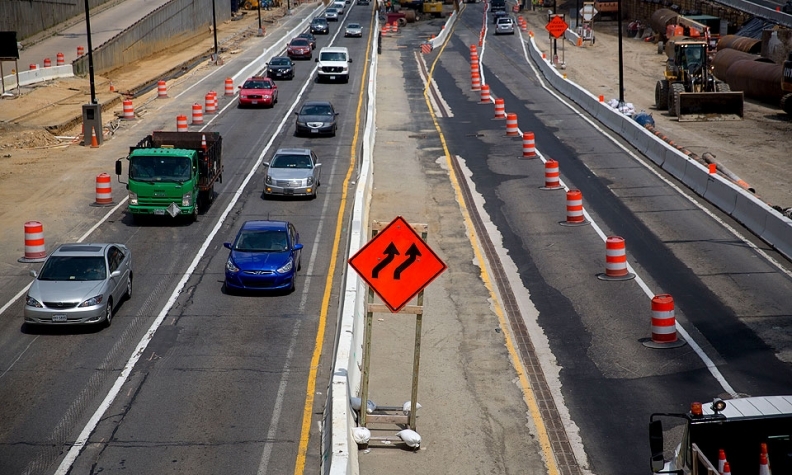 A panel of U.S. House and Senate lawmakers on Tuesday released a 1,300-page report on the final version of the highway funding bill after weeks of negotiations. The White House said Wednesday that President Obama would sign the bill if passed, which would make it the first highway funding plan in a decade to last longer than two years. In addition to raising the maximum fine that automakers face for safety violations, the roughly $300 billion surface transportation funding package also contains several other auto safety measures. Under the bill, dubbed the Fixing America’s Surface Transportation Act, rental car companies would be barred from renting vehicles with unfixed recalls. Auto dealers were spared from a ban on selling used vehicles with unrepaired recalls after such a prohibition was included in an earlier version of the highway bill considered by the Senate. Automaker and supplier employees who report concerns about dangerous potential safety violations would be rewarded with up to 30 percent of the financial penalties collected if the information leads to a penalty. Automakers would also be required to maintain safety data for 10 years, compared to five years currently. Create a grant program for states to inform consumers of open recalls when renewing vehicle registrations, a move to address the difficulty of notifying used car buyers of recalls. Require automakers to provide part numbers of defective components involved in a recall to NHTSA. Require dealers to inform customers of open recalls when visiting for service. Direct NHTSA to study the feasibility of an in-vehicle system to alert drivers of new recalls. Direct the Transportation Secretary to issue a rule allowing automakers to notify customers about recalls electronically, such as via e-mail or social media ads.